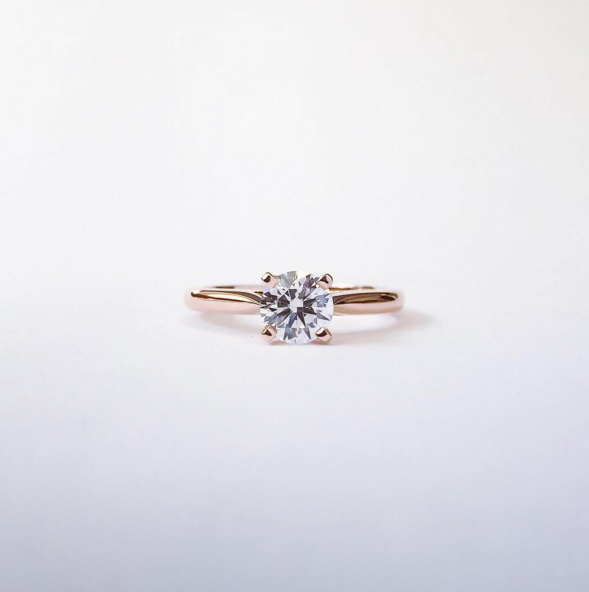 Solitaire engagement rings can be designed in a variety of styles to give it a modern and unique twist while still retaining its elegant aesthetic and simple lines. The four-claw solitaire engagement ring is undeniably the most recognisable of all designs. With the minimum number of claws needed to set the diamond, this is an excellent choice to safely allow the diamond to sparkle and shine. A four-claw engagement ring is ideal for a round-brilliant diamond or a four-cornered diamond such as an emerald-cut or a princess-cut. The setting is the perfect choice for smaller diamonds because it doesn’t compete and acts as the best canvas for the diamond or gemstone. Also, the minimalist setting means less dirt and grime accumulate on the centre stone. The four-claw solitaire engagement is the perfect choice for the modern bride. A six-claw solitaire is the second most popular solitaire engagement ring style. 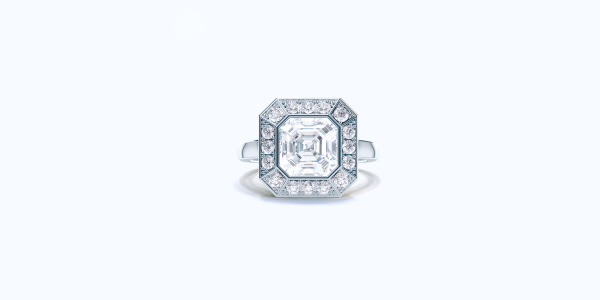 Originally developed by the famed Fifth Avenue blue box jeweller, this iconic setting made diamond engagement ring sales skyrocket after its introduction. The claws in a six-claw setting are thinner giving the appearance of a more delicate setting. Typically set a little higher than other solitaire ring styles, this increased height makes the diamond appear more graceful like a swan’s neck. 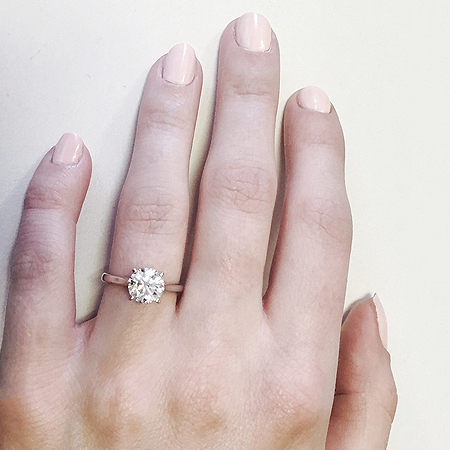 A six-claw solitaire engagement ring is the perfect choice for the classic bride. Seeing a resurgence in its popularity in recent years, bezel-set solitaire engagement rings are one of the most secure settings there is for protecting a diamond. A perfect choice for fancy-shaped diamonds and softer gemstones like emeralds, tanzanites and tourmalines, the bezel itself provides a protective rim of metal (rubover) that continuously surrounds and protects the stone. This setting’s high level of protection along with its contemporary feel makes a bezel-set solitaire engagement ring a modern alternative to a classic clawed solitaire setting. 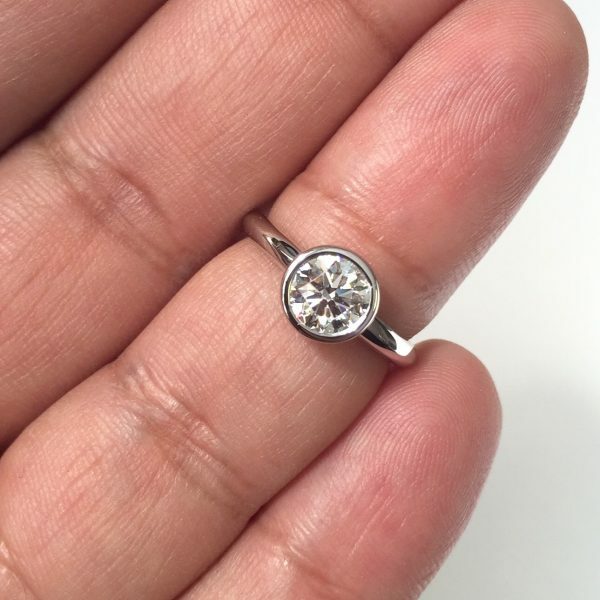 While solitaires are a classic choice, the greatest perk of choosing a solitaire engagement ring is that it allows you to focus the majority of your budget on the centre stone. 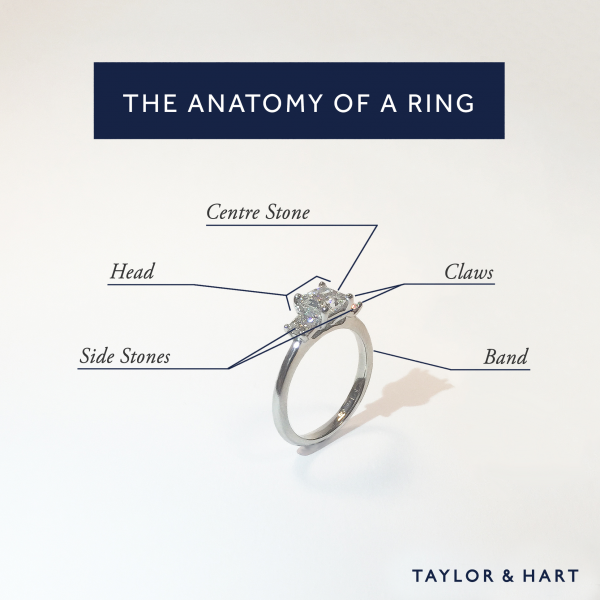 This means you could choose a higher quality diamond or gemstone as the centrepiece of your ring. 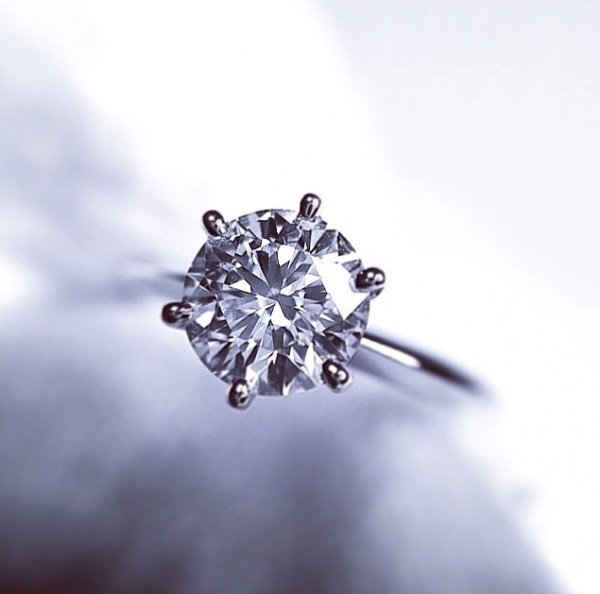 With its timeless beauty and elegance, you really can’t go wrong with a solitaire engagement ring!